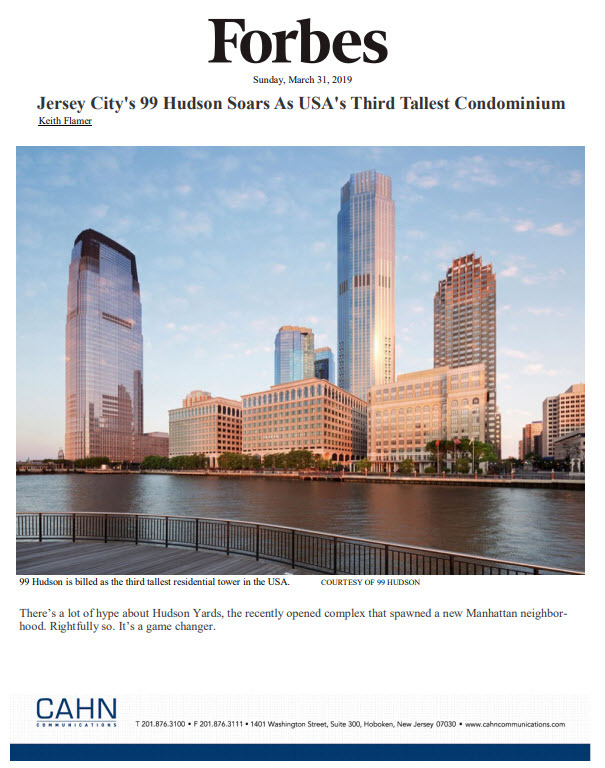 Jersey City, NJ – Joint venture partners Metro Homes, LLC and The Trump Organization announced this week the closing of a $2.4 million penthouse at Trump Plaza Jersey City, the new luxury condominium building located in downtown Jersey City, NJ. The sale of the 2,000 square-foot residence translates to $1,200 per square foot. Trump Plaza Jersey City stands 55 stories tall and features 444 spectacular condominium residences — 375 of which are already sold and 220 are closed. The magnificent studios, one-, two-, and three-bedroom residences range in size from 734 to 2,050 square feet of space and are priced from $495,000. The iconic residence is the tallest residential building in New Jersey and boasts unobstructed views of the New York City skyline, the Statue of Liberty and the ever-changing Hudson River scene. Recently completed at Trump Plaza is a full floor of five-star, hotel-style amenities that allows residents to indulge themselves in 41,000 square feet of unparalleled indoor and outdoor lifestyle attractions. These include a Roman-style Aqua Grotto spa offering a classic social steam, sauna, walk-in experiential shower, a 25-foot demi-lune heated thermal bath and tranquil treatment rooms. There’s also an indoor entertainment lounge with plasma TV and fireplace, private theater, billiard room, golf simulator, 3,000 square-foot fitness center, and a lushly landscaped plaza with a saltwater swimming pool. For more personal attention, residents enjoy a uniformed, round-the-clock doorman and 24-hour Concierge, in addition to an “At Your Service” Concierge, offering everything from dry cleaning and shoe repair to dog walking and maid service. To make an appointment to visit the on-site sales office and model home located at 88 Morgan Street, please call 1-888-NJTRUMP or visit http://www.njtrump.com.